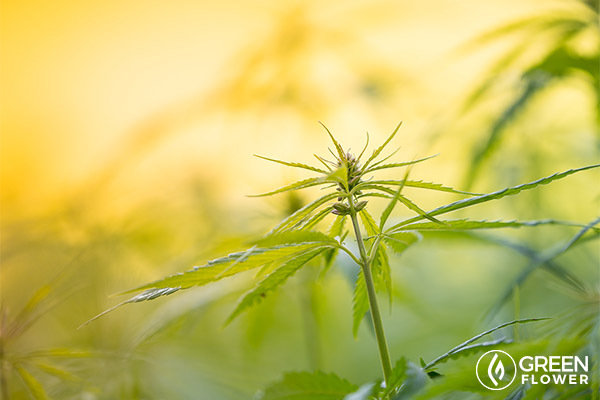 According to the National Hemp Association, “hemp can grow nearly anywhere in the world, in many types of soil — even in short growing seasons or in dry regions. Hemp can grow without pesticides. The crop also kills some weeds, purifies soil, and is suitable for rotation use due to its short harvest cycle (120 days). Hemp is a sustainable and renewable resource affecting almost every major industry. However, due to decades of propaganda and misinformation, hemp has not received the attention it deserves. “For 5,900 years, hemp was earth’s most important commodity, and in the last 50 years, it’s been earth’s most persecuted commodity,” according to Paul Benhaim – founder of one of the largest Hemp CBD manufacturers – Elixinol. If you want to learn how you can make a positive impact in the hemp industry, you definitely want to watch Paul Benhaim’s backstage interview from the Green Flower Entrepreneur Summit below. The world’s resources are limited, and dwindling every day that goes by. We all have a responsibility to better utilize the versatile plant that is hemp, and let it help heal the world. One way we can do this is by replacing products made out of paper or petrochemicals with ones made of hemp. If you’re hip to this idea, here are 12 things (out of an estimated 25,000 things!) that should absolutely be made from hemp for the sake of our world. It is estimated as many as 27.4 billion (that’s with a B) disposable diapers are consumed in America alone in one year. All of those end up in landfills, where they take a very long time to decompose since many of them are made out of petrochemicals. There are great options available: cloth diapers can be made from hemp, and don’t end up in landfills at nearly the same rate as disposable diapers, and disposable diapers can be made from hemp too. I am obviously a male, so I will tread lightly on this subject, as I don’t have any personal experience with tampons. However, I can point to some math I think will highlight the need to make more tampons out of hemp versus other things. Estimates are that the average woman will go through 9,600 tampons in her lifetime. Multiply that by how many women there are on the planet, consider that many of those products end up in landfills, and it becomes obvious that making tampons out of hemp versus other things that decompose much slower is a good idea. Hemp plastic doesn’t pose the health and safety risks associated with other plastic materials. My friend Chris from Oregon Hemp Works pointed this one out to me. Over 100 billion petrochemical gloves are thrown away each year. Think about it – mechanics, doctors, tattoo artists, janitors, etc., all use disposable gloves as part of their jobs. Imagine if all of those gloves were made out of hemp? As Rachel Garland pointed out in her earlier article for Green Flower, hemp is the most cost-efficient and environmentally friendly fuel crop out there. 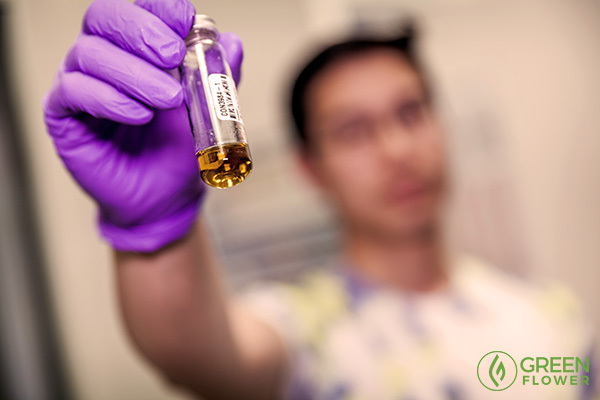 Hemp can produce two different types of fuel – hemp biodiesel and hemp ethanol/methanol. I once heard a story told by Willy Nelson that he once drove a car to a hemp rally that was powered by hemp biodiesel. Americans throw away 35 billion plastic bottles every year. A lot of those end up in landfills, but a lot of them also end up in oceans. The same goes for plastic bags. If you want to feel alarmed, just Google ‘Pacific Ocean Garbage Patch.’ All of that plastic is going to take a very long time to decompose. If those products were made from hemp, they would have likely already decomposed by now. 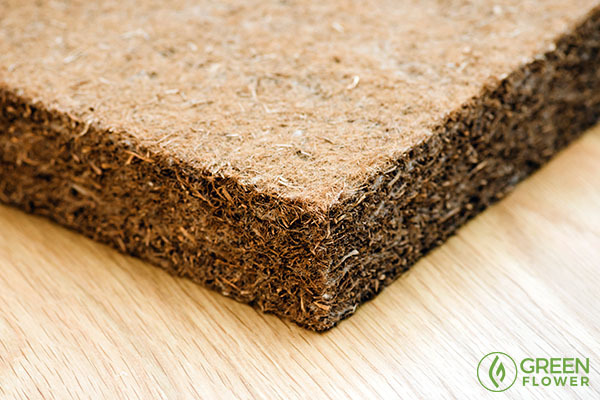 The components of hempcrete, including hemp hurds, water, and lime binder, form to create a naturally flame resistant building material. The economy is doing well right now, and whenever that happens, homes get built in large numbers. A lot of those houses are built using wood. Why not save those trees and make the homes out of hemp? Homes that are built using hempcrete (building material made from hemp) are more durable than houses built out of wood, and actually have a negative carbon footprint. Houses built out of hempcrete are also more fire resistant. Check out this YouTube video for footage of what I mean. Look around you; chances are electronic devices surround you with casings made out of plastic made from petrochemicals. Your laptop, tablet, phone, TV, DVD player, etc., all of it is likely made out of petrochemicals. Think about how many of those types of items you have thrown away which are now sitting in a landfill. It’s a problem that grows daily. Rachel Garland pointed out in her earlier Green Flower article. I can’t hammer home the points she made enough, as it’s estimated that as much as 180,000 tons worth of batteries are thrown away each year. Batteries can be particularly toxic. The reduction in environmental impact alone makes making batteries out of hemp worth it. And, batteries made from hemp can be made at 1/1000 of the cost of our current energy systems, and will outperform current energy storing technologies. Did you know Levi jeans were originally made from hemp sailcloth (and rivets)? Clothing made from hemp is stronger than clothing made from other fibers. But, here’s something interesting to know, fiber made from hemp can actually stop the spread of some bacteria. This isn’t true for cotton. Anything wood can do hemp can usually do too. A lot of wood goes into making furniture. People throw away furniture more often than they realize. Couches, chairs, etc. can all be made, top to bottom, out of hemp. #11.) Make up and make up containersIn not so shocking news, I do not wear makeup and I have never purchased a makeup product. However, there are many, many people out there that do. The makeup itself is not as big an environmental problem, as is the packaging, which is oftentimes excessive, and once opened, it is thrown away. The packaging is almost always made out of wood paper products (the box) and petrochemicals (the plastic holder). All of it can be made from hemp to help reduce the impact on our environment. Plus, my wife tells me, hemp makeup is quality! Naturally acid-free hemp paper does not yellow as quickly as tree pulp-based paper. Some of the most common things filling up landfills are paper products made from wood; paper towels, toilet paper, bags, newspapers, etc. All of them could be made from hemp, and while wood paper products decompose faster than plastic, they still take a lot of wood to make, which takes a long time to grow. Hemp grows much, much faster. 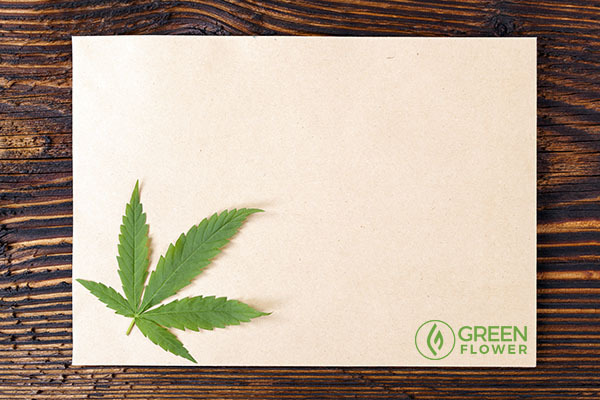 And, hemp paper is stronger than wood-based paper, and can withstand more folding and wear and tear. Hemp is the strongest natural fiber of any source available. Contact your elected officials and let them know you support hemp. And, most importantly – buy hemp products! America is a capitalistic society for better or worse, which is part of the reason hemp was prohibited in the first place, as it competed with many industries that didn’t much like the competition (petrochemical, timber, cotton, etc.). Make an impact by leveraging your dollars and buying hemp products. As demand grows, supply will grow with it, as will momentum for hemp reform. 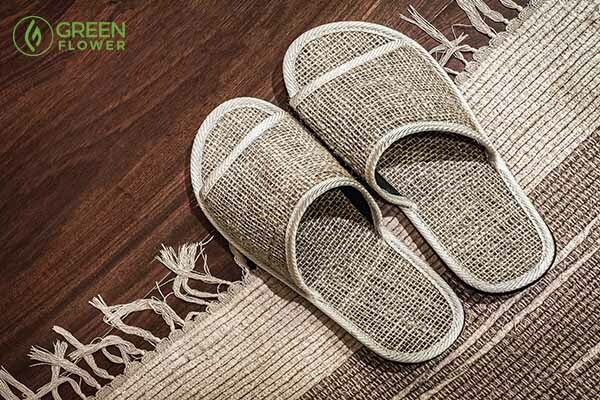 Last month we here at Green Flower put out an article discussing 25 things that you may not have known that can be made from hemp. It’s a great article that you should check out and share with friends and family. It will help educate them on hemp’s versatility, and plant a seed (no pun intended) in their minds to look for hemp products when shopping. And, if you’re interested in getting involved in the hemp or cannabis industry, check out more inspiring talks from some of the worlds top experts and entrepreneurs at the Green Flower Entrepreneur Summit here.